Nord VPN is very suitable for streaming movies and series. This VPN software works perfectly for all popular platforms, such as Amazon Prime Video, Maxdome and Netflix ; In addition, the VPN client can be used for live sports broadcasts of Sky Go, Fox Sports and other providers. Nord VPN allows its users to exchange files anonymously on all the usual platforms, such as eMule and uTorrent, and with high download rates. The VPN software uses a network of servers distributed throughout the world and makes IP addresses available to users in the USA. and in other countries. In this way, the VPN client evades firewalls from countries such as China, Turkey or Russia or in Europe. Thanks to its high encryption, Nord VPN is ideal for surfing safely on the Internet and public networks. More and more companies such as Amazon, Netflix and Sky offer their customers various digital content through streaming; even many series and formats are now exclusively available on streaming only. Often, episodes of favorite series are not yet available in the user’s country and can only be seen in the United States because of copyright or license problems. This same problem also often occurs in the broadcast of many American sporting events. These companies often uses IP blocking technology which makes access to their content from other countries impossible. In addition to Amazon Prime Video and Netflix, some television channels in the United States and Britain block access to other countries for licensing reasons. With a recent law in Europe, now the restrictions are even larger. Users can use a VPN software to change their IP and even their temporary location or completely hide their real location. With this they can be placed virtually in the desired country and thus avoid IP blocking. Users stay in the United States for streaming providers and have full access to movies, series and sports broadcasts without any censorship. Nord VPN operates worldwide with more than 1000 servers, of which 250 high-performance servers are located in the United States. Thanks to the maximum download rate of up to 101 Mbit/s and an unlimited volume of data, you can have access to high quality content with a 4K streaming resolution. Nord VPN’s modern Smart Play technology allows direct access to all streaming pages. Thanks to a large number of free addresses, users automatically receive a dynamic IP address and – with an additional payment – a dedicated IP address. With an account, up to 6 different devices can be connected simultaneously, such as computers, tablets, smartphones and video game consoles. There is also a dedicated app available for mobile devices. Due to the higher costs and old technology of DVD & blu-ray CDs, file sharing continues to have a high popularity. Despite the great dangers and problems, there are still many people who regularly download data from the Internet. The risk of being identified is great if you do not have secure encryption and reliable IP hiding; This can, in turn, quickly lead to warning letters with very high fines. The user of a VPN software remains 100 percent anonymous thanks to the hiding of his IP address, thus being able to exchange files nonchalantly. The IP address of the user is encrypted and can not be tracked; In addition, in case they are requested, the data can not be delivered to the competent authorities. If the Kill switch function is available, the data can not be erased instantly either. The identity of the user is hidden ideally in combination with a double encryption, another benefit of Nord VPN. The exchange of data can be exercised without limitation thanks to the unlimited transfer of files. Nord VPN users can use all torrent services and file sharing thanks to the support of Peer-2-Peer connections. Nord VPN offers its users optimal P2P traffic, with high download rates of up to 101 Mbit/s. The SOCKS5 proxy additionally offers a maximum data transfer speed. The DNS Leak Resolver allows secure and protected DNS requests and, thanks to the Zero Registration Policy, the data of any user is not registered. Through high-value encryption AES 256-CBC, sensitive data is 100 percent protected, far from outside hands. Government censorship increases year by year. In some countries, such as Iran or China, censorship is very strong. In addition, firewalls are also used in many public and private companies to prevent access to most Internet content and services such as Google, Facebook, Twitter, Wikipedia and YouTube. These elementary and important Internet services are not available due to heavy censorship, causing inconvenience to the user as well as a grave violation of freedom to information. By using a VPN software, users can avoid firewalls, one of the biggest acts of censorship. To do this, the software hides the user’s true IP address. The address and the entire information chain remain unrecognizable; in this way, the connection with each respective firewall will no longer be recognized as unwanted, allowing full access. Users can surf without restrictions on the Internet and move freely thanks to a VPN software. They will no longer have censorship and will be able to use all available services. With more than 1000 servers worldwide, Nord VPN always offers its clients enough servers and many available IP addresses. In addition to dynamic IP addresses, you can also buy dedicated addresses. The locations of the servers are distributed throughout the world. Except for Antarctica, the company has servers on all continents. Data is always protected with modern AES 256-CBC encryption and is therefore reliably protected from third-party access . Nord VPN employs a special SOCK 5 proxy for fast and secure browsing. Users have a total of more than 3,000 proxies at their disposal . Unfortunately, the Internet is also useful for criminal users. In recent years the number of hacker attacks and cyber criminality has grown significantly. Among other uses, the personal data of users are used in an abusive manner for advertising and profit purposes. Public networks, such as those of train stations, airports or cafés, are dangerous for users. Expert hackers can have easy access to banking data; In addition, authorities and companies can spy on users’ network behavior and use it to their advantage. Using VPN software, users can browse anonymously on the Internet in a protected data tunnel and move freely online. The software hides the user’s true IP address and makes all data communication unrecognizable. The IP address and user data can not be decrypted by hackers, companies or governments. All data traffic in Nord VPN is encrypted. In addition to the standard functions, users who desire greater anonymity and security on the Internet can use a unique feature: With the help of high quality AES 256-CBC encryption, server links can be replaced by two server nodes, thus reaching an encryption at both ends. This double encryption corresponds to a military level and satisfies the highest levels of anonymity and security. Nord VPN introduced DNS Leak Resolver technology to prevent unencrypted DNS queries from being identifiable outside the tunnel. This VPN provider works only with its own DNS servers, which guarantees anonymity and data control at all times; additionally, no type of user registration data will be saved. Thanks to the emergency shutdown (Killswitch), users can define in advance the software and web pages on which the connection should be automatically closed when there is an interruption. This prevents the disclosure of these pages or programs. Thanks to its particular density of servers, with more than 1000 servers in almost 57 different countries, Nord VPN offers its customers almost worldwide coverage. This reliable coverage has a significant advantage for users: If a server becomes overloaded once or does not provide full performance, the software automatically changes the server and users do not have to worry about any disconnection. The connection establishment is always reliable and averages only 7 seconds. Users also enjoy a short ping period of only 5 milliseconds and an unlimited volume of data. The status of all active servers is displayed in real time, ensuring that users have a general impression of the performance of Nord VPN servers in advance. The maximum download speed is 101 Mb per second and the upload speed is up to 85 Mb/s. This VPN software can be installed in a few minutes. The Nord VPN program is compatible with all versions of Windows and with the Macintosh OS and Linux systems . Additionally, they offer mobile applications for mobile operating systems such as Apple iOS and Google Android as well as BlackBerry phones. Users of game consoles can also manually install the software. If the user is not satisfied with the service, they can take advantage of the money back guarantee during the first month of use. Customers with questions or problems can contact the friendly customer service team. This is available for 24 hours, 7 days a week. Queries can be made by e-mail, social networks, through live chat or through a support ticket. Users also have access to a fairly broad knowledge base. The following table shows in which devices and platforms the Nord VPN VPN software can be used. The installation of the App for mobile devices such as smartphones and tablets, as well as installation on desktop computers, is completed quickly. We can state without any doubt that the experienced company Nord VPN belongs to the best VPN software providers. The more than 1000 servers around the world and the high download and upload rates speaks volume for this provider(no pun intended). Nord VPN is particularly convincing with its double encryption and its intelligent DNS Leak Resolver function. The Nord VPN service has several important functions, such as the SOCKS 5 proxy and automatic disconnection in case of emergency. Both the use and the installation are intuitive and are also suitable for inexperienced users. Thanks to the No Registration Policy , the data is not registered or can fall into the hands of others. Nord VPN is characterized by its excellent cost / benefit ratio. It is especially suitable for users who place great value on security and anonymity. Customers can pay for the service in an entirely anonymous way with Bitcoins and enjoy a money back guarantee for 30 days. Undecided users can try this software without financial risks. Nord vpn won’t connect? Nord Vpn not working? 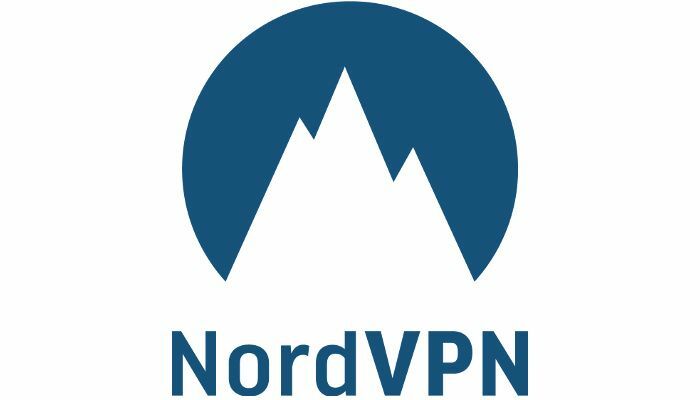 How to install nord vpn on firestick? Hello! I am using this tool more than a year ago and it is one of the best, for lovers of anonymity like me. I think it takes advantage of its competitors in quality and service. Also if you have the payment you can get much more juice. I use nord VPN for Netflix mainly, I have never had problems accessing it. The speed varies a bit (depends on servers) but in general I have not had any problems. Then nothing in the world is perfect, I give it 4 stars.